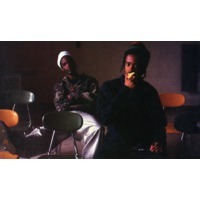 Dead Prez is a hip hop duo from the United States, composed of stic.man and M-1, formed in 1996 in New York City, New York. They are known for their confrontational style, combined with socialist lyrics focused on both militant social justice and Pan-Africanism. The duo maintains an ethical stance against corporate control over the media, especially hip hop record labels.